Individuals interested in majoring or minoring in Sport Management will obtain a wealth of content knowledge and will experience the behind-the-scene view of sport. A degree in Physical Education will prepare you for a wide variety of career opportunities related to sport and fitness, such as teacher, coach, personal trainer, wellness educator and many more. The Department of Sport Professions offer majors in Physical Education and Sport Management with options for minors and concentrations that will add breadth and depth to your academic program and give you a competitive edge in the job market. A required internship is designed to provide hands-on learning and networking opportunities that will benefit students after graduation. Majors are expected to demonstrate ethical and professional behavior and become independent thinkers and lifelong learners. Sport Professions faculty bring extensive experience to the program that helps them prepare students to be effective leaders and turn their passion for sport and fitness into viable careers. We emphasizes applied learning, leadership and academic rigor through research, professionalism and active participation in campus life at Newberry College. Students who are interested in making a difference in the lives of young people by developing their abilities to lead physically active lifestyles, should consider Physical Education major with a concentration in Teacher Education. This major is designed to prepare students for teaching careers in Physical Education. The requirements lead to South Carolina Teacher Certification for grades PK-12 in Physical Education. Students will complete 73 hours to full the requirements for this program. Candidates are encouraged to take BIO 101 or 121 for the Core Requirement in Laboratory Science and must earn a grade of C or better in order to meet the prerequisite for BIO 215 or 216. 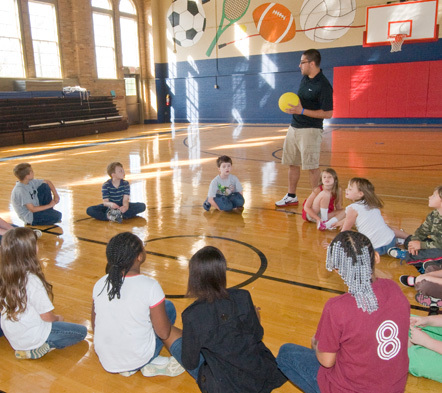 Students may prepare for PK-12 certification in Physical Education. Graduation with a degree or concentration in Education does not guarantee state certification. In order to be certified by the state of South Carolina, candidates must pass all required PRAXIS II series tests and meet all certification requirements. All candidates will complete a minimum of 108 hours of field experience in a public school prior to student teaching. Candidates should take EDU 224 and 230 during their freshman year, and EDU 232 during the first semester of the sophomore year. These classes are prerequisites for admittance to the Teacher Education Program and all other 300- and 400-level education courses. In addition to passing EDU 224, 230, and 224 with at least a C, all candidates must pass or exempt Praxis Core reading, writing, and mathematics tests, and apply for and be admitted into the Teacher Education Program. Additional requirements for admittance to the Teacher Education Program and requirements for the internship can be found under the Department of Education section. This unique minor is designed to prepare students with an interest in coaching sports with the academic foundation to pursue their passion. 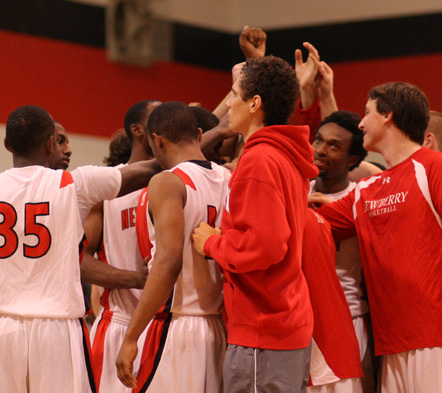 Physical Education majors are required to take 13 hours to complete the Coaching minor. The Coaching minor is designed for students who are pursuing teacher certification and who also wish to coach sports. The Coaching minor requires 21 hours to complete for non-Physicial Education majors. Students are encouraged to take BIO 101 or BIO 121 for the Core requirement in Laboratory Science; students must earn a grade of C or better to meet the prerequisite for BIO 215 or 216. The Sport Management minor will provide a comprehensive overview of everything from accounting and marketing to sport psychology to facility management.Students who are not majoring in Physical Education are required to take 15 hours. A degree in Sport Management is ideal for people with an interest in sports but who may not wish to pursue a career playing sports. The Sport Management degree at Newberry College draws on a broad range of disciplines, including business, communications, mathematics and the social sciences to prepare students for successful careers in the sports and entertainment industry. Sport Management graduates are prepared for employment in a variety of fields. Graduates who pursue advanced degrees in Sport Management and related fields often are employed in management level occupations in sports and entertainment industries. What do we do when we’re not working? We play! Our activities may vary widely by individual, but the time we spend on leisure, recreation and sport can amount to more than one-third of a person’s life. Considering the impact of leisure and sports on our lives, the opportunities for a sport management career are vast. Sport Management is one of the fastest growing programs of study at a majority of colleges and universities in the United States. A degree in Sport Management can provide the knowledge and abilities needed to enter this multi-billion dollar (and growing) industry. The Sport Management minor will provide a comprehensive overview of the Sport Management field from accounting and marketing to sport psychology to facility management. Students are require to complete three (9 hours) of required courses in Sport Management one (3 hours) elective in Business Administration and one (3 hours) elective in Communications. Students not majoring in Physical Education are required to take 15 hours. Exercise Science is the study of bodily movement and how health and healing can be affected by exercise and nutrition. The major will appeal to students with an interest in allied health, science (biology/chemistry) and the mechanics of human movement. An Exercise Science degree from Newberry College will equip you with the knowledge and experience to work in the health and fitness industry or to further your education in graduate school. Exercise Science graduates are employed in a variety of fields in the health and fitness industry or in allied health fields, such kinesiotherapy or cardiac rehabilitation. Graduates also are prepared to pursue advanced degrees in allied health fields, such as Physical Therapy or Chiropractic. No matter where you go, your body always goes with you, so a properly functioning body is essential for overall health and well-being. Exercise Science teaches you how the body works and the factors that influence bodily health giving you the knowledge and skills to help improve overall health with exercise, nutrition and rehabilitation. Opportunities continue to expand in this highly competitive field as people continue to embrace the importance of proactively managing their health through exercise and nutrition. A degree in Exercise Science can provide you with the knowledge and skills to take your place in this multi-billion-dollar industry. In addition to the Newberry College Liberal Arts Core, Exercise Science majors are required to complete a total of 70 credit hours (38 hours in Exercise Science courses, including internship approved by the program chair, and 32 hours drawn from biology, chemistry, math and humanities courses). A minor in Exercise Science is not offered at this time; however, this major pairs well with a variety of other programs in Sports Professions or Science to add depth and breadth to your program tailored to your unique interests. See the Academic Catalog for in-depth information.